The holidays are just around the corner, and with them comes a nearly endless stream of sugary treats, delicious beverages, and the stress of shopping for your loved ones. 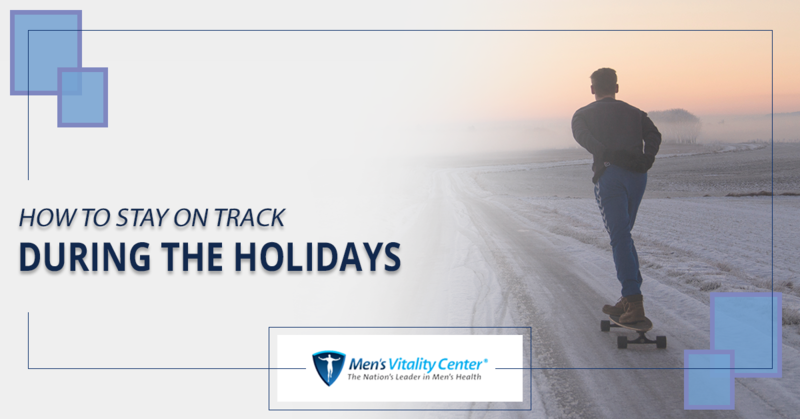 It’s easy to let your health fall by the wayside during the holidays, so in today’s post, we’ll provide you with several tips that can help you stay on track this holiday season. When you’ve finished reading this post, get in touch with Men’s Vitality Center in Tempe by calling 480-588-2430 or by filling out our online contact form. Read on to learn how you can maintain your health during the holidays! As we discussed in a previous entry, sugar is one of the most harmful substances you can put into your body. It spikes your blood sugar levels, compromises your immune system, saps your energy, and causes your testosterone levels to fall after it has been digested. You’ll probably be attending holiday parties and seeing sweet treats appear around the office in the next few weeks, and you should do your best to limit yourself to a few of your favorite holiday goodies. Men who are currently receiving testosterone replacement therapy should be particularly careful with their sugar intake, but this is also sound advice for anyone who wants to feel their best during the holidays. Between shopping, making travel plans, and finishing up end-of-the-year projects at work, it’s easy to make excuses to skip the gym. Even though many people resolve to pick up their fitness routine again in January, you should aim to maintain your current routine as much as possible. 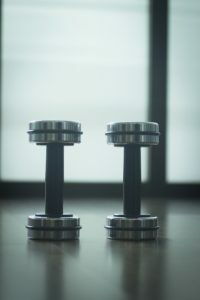 Some exercise is always preferable to none, and you’ll find that you’re better able to manage the stress of the holiday season when you’re working hard at the gym. Moreover, a good workout is the perfect way to burn off any sweets you do decide to eat! If you’re like most men, then it’s probably been a while since your last physical. It’s easy to skip going to the doctor if you’re feeling well, but a physical is a great way to check in with your body and preemptively address any issues that could become problematic in the future. For instance, many men come to us and do not realize that the symptoms they’re experiencing are all indicative of low testosterone levels. After a few testosterone replacement therapy sessions, you’ll almost certainly see an improvement in your symptoms and be back to feeling like your old self. We hope that today’s entry will help you stick to your diet and fitness routine throughout the next few weeks. Our men’s health clinic is here to help you improve your health and well-being, and we offer a number of services that can help you feel your best. From testosterone replacement therapy to weight loss programs for men, our physicians are here to provide you with the support you deserve. Fill out the form below to request an appointment!